If you’ve got transmission trouble CALL US first! Transmission Trouble? 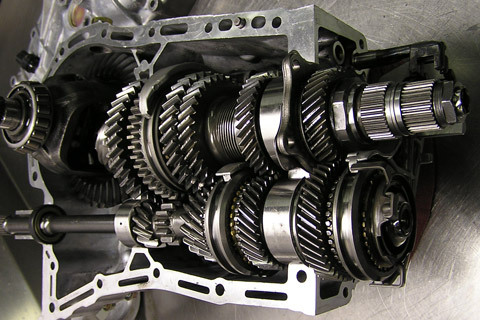 Don’t wait to have your transmission looked at by the pros at California Car Care. Call today and get back on the road in a hurry. Do you love driving? Then you probably enjoy a stick shift car. Many people find that driving a manual transmission vehicle can be more fun to drive than their automatic equivalents. Manual transmissions were around decades before automatics. In fact, up until General Motors offered an automatic in 1938, all cars were of the shift-it-yourself variety. While it’s logical for many types of today’s vehicles to be equipped with an automatic — such as a full-size sedan, SUV or pickup — the fact remains that nothing is more fun to drive than a tightly suspended sports car with a precise-shifting five- or six-speed gearbox. It’s what makes cars such as a Corvette, Mustang, Miata or any BMW sedan or coupe some of the most fun-to-drive cars available today. Whether you like a stick shift or an automatic transmission you can still have issues. If you are having trouble with your engine transmission call us today! 600-0600 CALL US!